Keep up with the significant changes in SQF Edition 8 Codes by downloading this white paper. Edition 8 is a recently updated SQF version that meets the benchmarking requirements laid out in the latest GFSI Guidance Document v.7.1 (published on April 27, 2017). 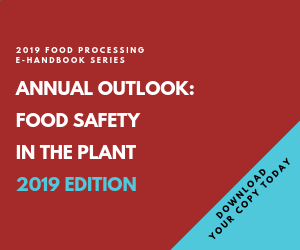 Keeping in line with the transition to the new GFSI requirements, there have been some significant changes in SQF Edition 8 Food Safety Code for Food Manufacturing. This white paper discusses the GFSI requirements and how they impact SQF certification. It also provides a detailed discussion of those changes in Edition 8.